Working on a voice app? 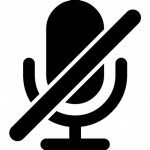 Check out Dave Rupert’s Anthology of Mute Buttons in Voice Chat Apps and get an excellent overview of all the confusing ways the mute function is presented. Mute has existed for a long time, we all use it, but it is so hard to get right. He really is on to something with the push to talk idea. That should really be the default for conference calls and group chats. Turning design mode on by entering the this line in the console will make all the text in the target element (the whole page in this case) editable. Sweet!